Sip and swill at the Single Malt Scotch & Whisky Extravaganza. How much do you love whisky? Enough to spell it without an 'e'? Excellent. 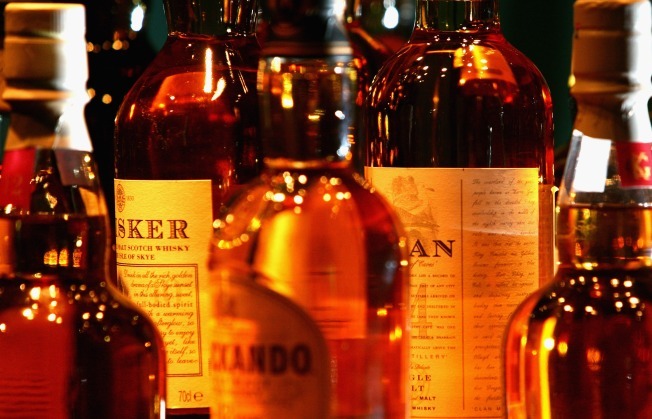 Tonight, go and be among your people at the Single Malt Scotch & Whisky Extravaganza. Mingle with other scotch-heads at the Roosevelt Hotel as you sip more than 85 varieties of spirits (of the single malt and Scotch variety only, thankyouverymuch), including Scotland's most prestigious blends as well as robust efforts from Ireland, Japan and New Zealand. At this Robb Report-sponsored event, there'll also be a swank dinner buffet (you can't possibly drink all that whisky on an empty stomach, even if your ancestors were Scottish), imported cigars galore (sadly, you can't puff these suckers on the premises, but you can slip them into your plaid blazer's breast pocket for "later enjoyment"), and plenty of other goodies to make you feel like a land baron from the turn of the (last) century.